He will teach you the right way to live. Just being with Him will bring complete happiness. Being with Him will make you happy forever. and it’s a pleasure to live with Him. to move forward in life. and for everything to come. 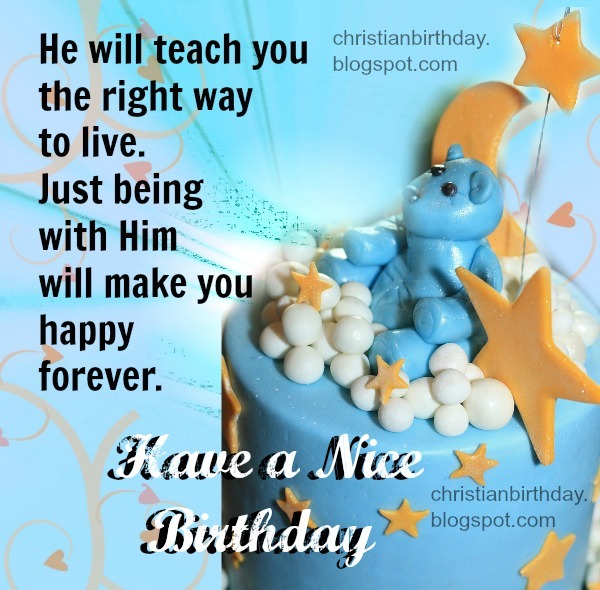 Christian Card Have a Nice Birthday. He will teach you. Free cards for bday.